Margaret Ekpo (1914-2006) was a Nigerian women’s rights activist and social mobilizer who was a pioneering female politician in the country’s First Republic and a leading member of a class of traditional Nigerian women activists, many of whom rallied women beyond notions of ethnic solidarity. 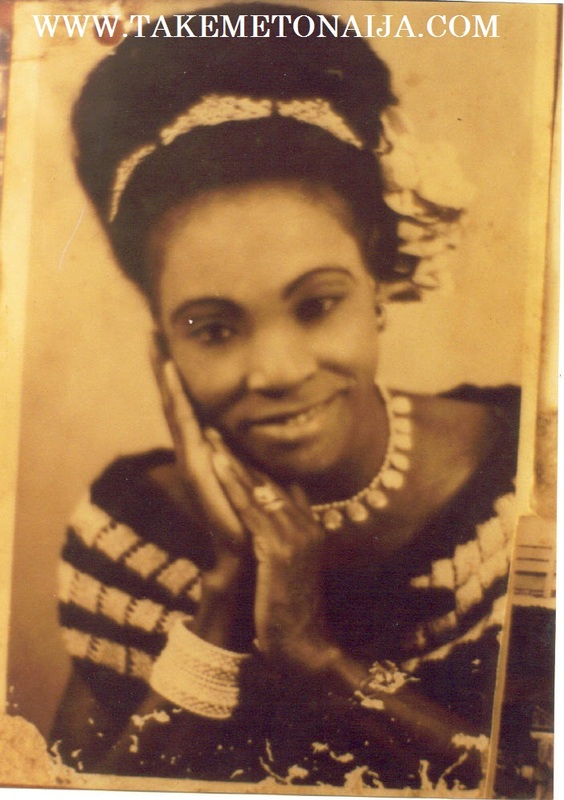 She played major roles as a grassroot and nationalist politician in the Eastern Nigerian city of Aba, in the era of an hierarchical and male-dominated movement towards independence, with her rise not the least helped by the socialization of women’s role into that of helpmates or appendages to the careers of males. Member, Regional House of Assembly. Margaret Ekpo was born in Creek Town, Cross River State, to the family of Okoroafor Obiasulor and Inyang Eyo Aniemewue. She reached standard six of the school leaving certificate in 1934. However, tragedy struck at home with the death of her father in 1934, her goals of further education in teachers training was as a result put on hold. She then started working as a pupil teacher in elementary schools. She married a doctor, John Udo Ekpo, in 1938. He was from the Ibibio ethnic group who are predominant in Akwa Ibom State, while she was of Igbo and Efik heritage. She later moved with her husband to Aba. Margaret Ekpo’s education may very well have ended at ‘standard six’. Following her father’s death in 1934, her hopes of attending a teachers training college were dashed. She subsequently settled for a ‘pupil-teaching job,’ teaching at various elementary schools until she got married, in 1938, to a Yaba High School-trained medical practitioner, Dr. John Udo Ekpo. Ekpo’s determination to advance her education motivated her to obtain a diploma in Domestic Economics in 1948 at the Rathmine School of Domestic Economics in Dublin Ireland, during the period her husband was taken there for medical attention. When the couple returned to the country, Ekpo established a Domestic Science Institute where she trained young girls in dress-making and home economics. Margaret Ekpo’s first direct participation in political ideas and association was in 1945. Her husband was indignant with the colonial administrators treatment of indigenous Nigerian doctors but as a civil servant, he could not attend meetings to discuss the matter. Margaret Ekpo then attended meetings in place of her husband, the meetings were organized to discuss the discriminatory practices of the colonial administration in the city and to fight cultural and racial imbalance in administrative promotions. She later attended a political rally and was the only woman at the rally, which saw fiery speeches from Mbonu Ojike, Nnamdi Azikiwe and Herbert Macaulay. Not content with being the only woman at political meetings, Ekpo devised ingenious ways of encouraging the participation of the women folk in Aba, her base, during the early years of her political career in 1945. She wanted more women to become members of the Aba Market Women Association, so that she could pass on information from her meetings to them, but their husbands would not let them. Luckily, After World War II, there was a general scarcity of salt, an item no household could be without. Ekpo went round the shops and deposited money for all available bags of salt, giving her control of its sales. She ordered that any woman who was not a member of the association should not be sold to. Resultantly, all the men released their women to register. By the end of the decade she had organized a Market Women Association in Aba to unionize market women in the city. She used the association to promote women solidarity as a platform to fight for the economic rights of women, economic protections and expansionary political rights of women. Margaret Ekpo’s awareness of growing movements for civil rights for women around the world prodded her into demanding the same for the women in her country and to fight the discriminatory and oppressive political and civil role colonialism played in the subjugation of women. She felt that women abroad including those in Britain, were already fighting for civil rights and had more voice in political and civil matters than their counterparts in Nigeria. She later joined the decolonization-leading National Council of Nigeria and the Cameroons (NGNC), as a platform to represent a marginalized group. In the 1950s, she also teamed up with Funmilayo Ransome-Kuti to protest killings at an Enugu coal mine; the victims were leaders protesting colonial practices at the mine. In 1953, Ekpo was nominated by the NGNC to the regional House of Chiefs, and in 1954 she established the Aba Township Women’s Association. As leader of the new market group, she was able to garner the trust of a large amount of women in the township and turn it into a political pressure group. By 1955, women in Aba had outnumbered men voters in a city wide election. She won a seat to the Eastern Regional House of Assembly in 1961, a position that allowed her to fight for issues affecting women at the time. In particular, there were issues on the progress of women in economic and political matters, especially in the areas of transportation around major roads leading to markets and rural transportation in general. After a military coup ended the First Republic, she took a less prominent approach to politics. In 2001, Calabar Airport was named after her. Ekpo was one of three women appointed to the House of Chiefs, in the 1950s – besides Mrs. Olufunmilayo Ransome Kuti (appointed into the Western Nigeria House of Chiefs) and Janet Mokelu (appointed along with Margaret Ekpo into the Eastern Nigeria House of Chiefs). She went on to serve her nation in several other capacities; as the Nigerian representative to the Inter-Parliamentary Union Conference (1964), Nigerian representative to the World Women’s International Domestic Federation Conference (1963), Member of Parliament Government of Nigeria (1960 – 1966), women’s interest representative to the Nigerian Constitutional Conference (1960), a delegate to the Nigerian Constitutional Conference (1959), a delegate to the Nigerian Constitutional Conference (1953 and 1957), women’s interest representative to the Eastern House of Chiefs, Nigeria (between 1954 and 1958) and member, Eastern House of Chiefs, Nigeria (between 1948 and 1966). Margaret died on Thursday September 21, 2006, at the University of Calabar Teaching Hospital. She was aged 92.